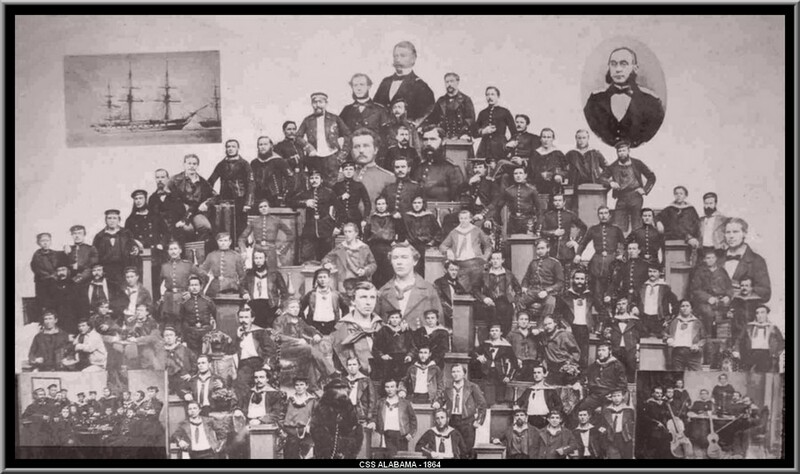 A largely unknown episode of the American Civil War was to take place in the Channel off our coasts opposing the Confederate cruiser Alabama, Captain Richard Semmes, to the United States sloop-of-war Kearsage, Captain Winslow, in the following circumstances. On June 11th the Alabama who since her commissioning two years earlier was seriously in need of a refit had put in Cherbourg. Her appearance had been signalled by spies to the Kearsage who was at the time moored in Vlissingen. She immediately sailed for Normandy and was not really surpised to discover the cruiser at anchor within the harbour. She continued her course without stopping and headed for the open sea, laying outside the 3 miles limit. 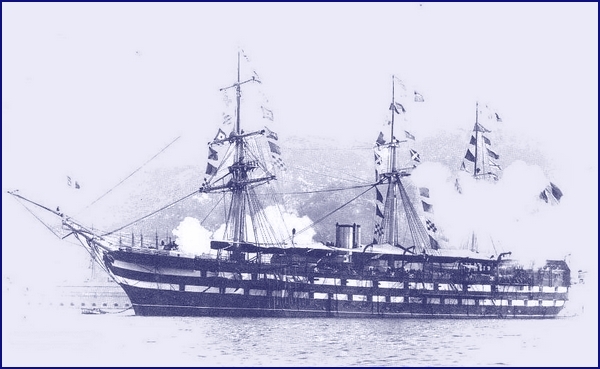 On Sunday the 19th, Alabama at expiration of the time allowed by the french Government to proceed with her repairs weighted anchor at 10.30 am and sailed to meet her antagonist under survey of the French ironclad La Couronne which marked the territorial waters limit. In the meantime, appeared also the English steam yacht Deerhound. She had been sent out to render the assistance that could be necessary by the coming events. Both Alabama and Kearsage were built of wood and were more or less similar in strength. Kearsage had 7 guns with a broadside of 366 lbs and a complement of 163 while Alabama had 8 guns, a 305 lbs broadside and a complement of 148. 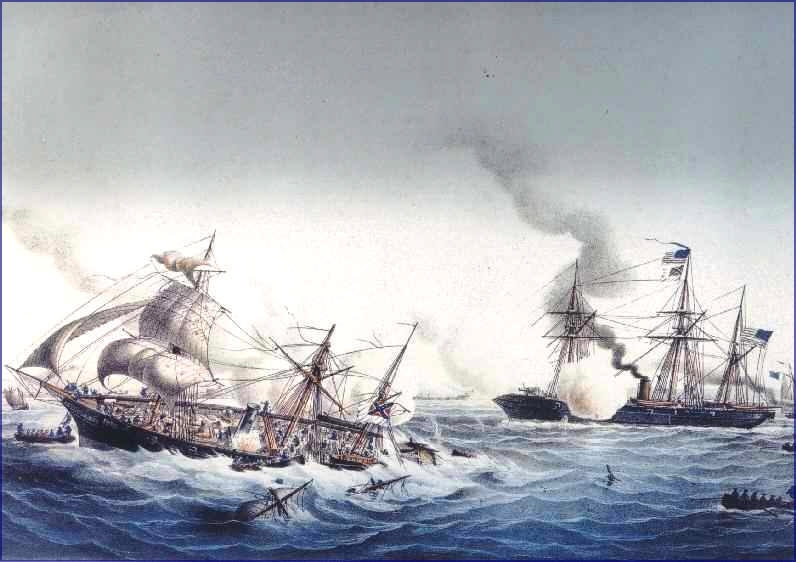 At the end of the morning when started the action, Kearsage was about 7 miles from shore, Alabama closing and both parties waging furiously the fight but it was not long before the Alabama noticed how much her powder had deteriorated in her long period at sea. About 15 minutes after the beginning of the action, she placed a big 100 lb. shell that struck the Kearsage on her quarter near the screw but failed to explode. Alabama had a little superiority in the range of her guns but this was negatived by the superior speed of the Kearsage who wisely avoided any close action. After more than hour of intense shelling, Alabama was already in a sinking condition, her engines down and furnaces out. 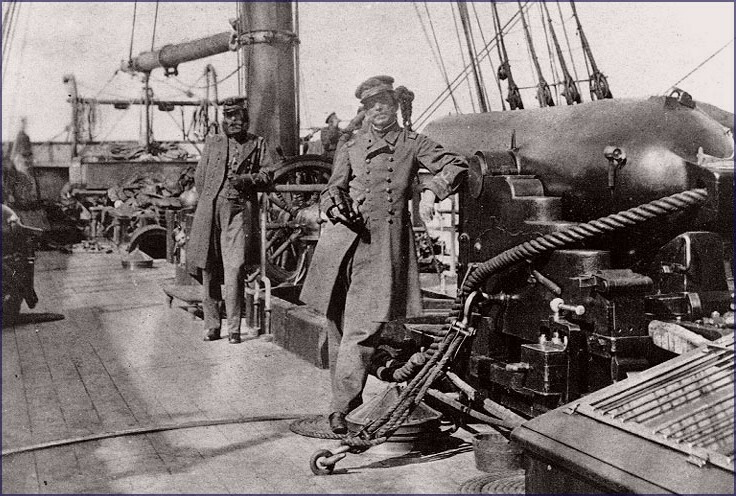 Captain Semmes had therefore no other solution than hauling down the colours and order to abandon the ship. Kearsage, 1 killed, 3 wounded. 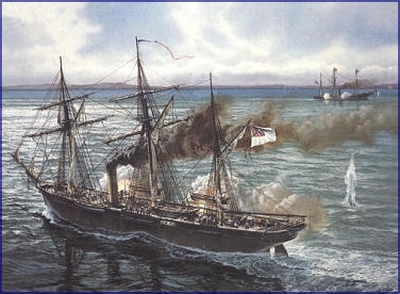 When the Civil War ended, the US Government presented a claim against Britain for damages inflicted to shipping by the Confederate raider. 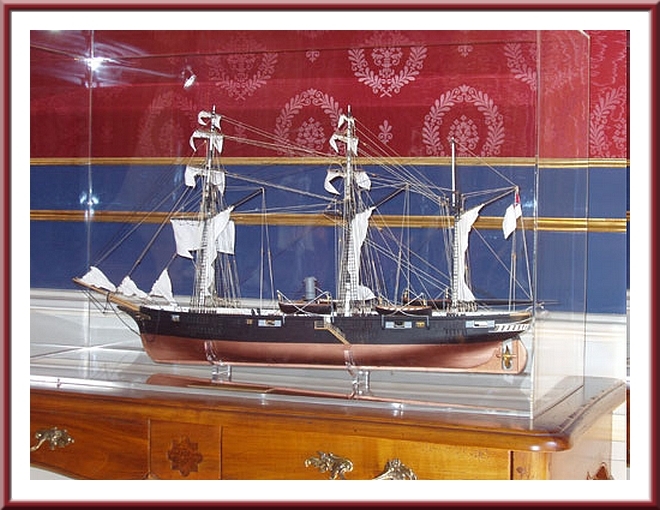 England admitted her liability in allowing her to leave the Birkenhead Yard and after several years of negociation, the Tribunal sat in 1871 at Geneva finally assessing the damages at 15 500 000 dollars what was accepted by both parties and settled definitely the dispute. 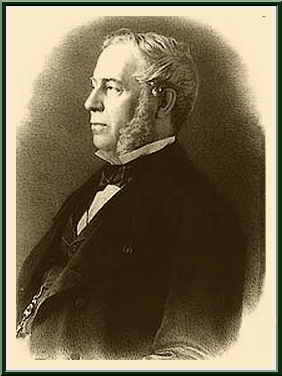 Edouard Drouyn de l'Huys French Foreign Ministry in 1864. He has been the main interlocutor between France and US governments in this matter.